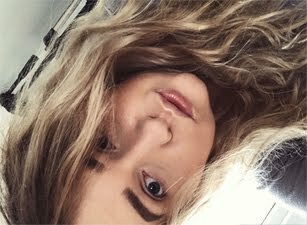 Recently I really enjoyed curling my hair, but all the time I'm out of hairspray. I always forget to pick one up, whenever I'm out shopping. 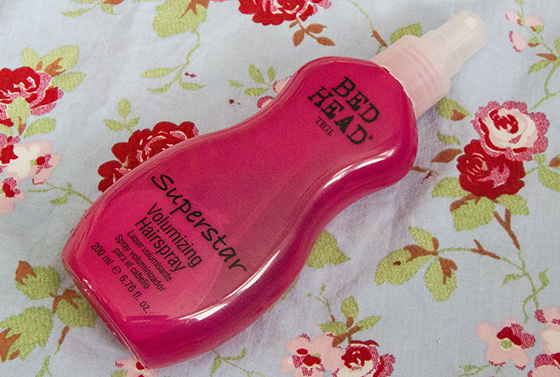 When once curling my hair I realised that I own Bed Head Volumizing Hairspray, at first I hated this product. Then it been thrown away at the back of my hair products. After giving it a second chance, I realised that it's actually really good. The bottle has such a bright colour. 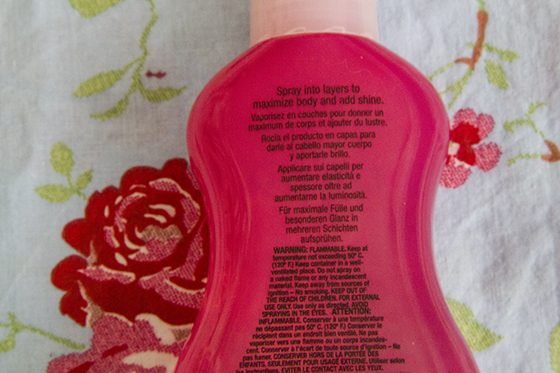 In my opinion this won't add a lot of volume to your hair, but it will make them much more fuller. What I like about this that it's not very sticky and it's lightweight. Won't weight down your hair. One thing that annoys me the most is the strong sweet smell, I really don't like it. It's linger on the hair for around 2 days. Once your brush this out of your hair, your hair will loose the hairspray feeling, if that makes sense, but the smell will still linger. It does hold the curls. Overall it's a nice products, but I don't feel like I would go back to it. Sounds good, i LOVE the bottle, the shape and colour!